"We felt the compactness of the John Strand solution, and the ability to shut it away made it unique." The popularity of holidaying in the UK has seen a healthy increase in recent years. The introduction of Airbnb has helped to revolutionise the self-catering holiday rental market and opened up a world of unique, interesting and wonderful places for travellers to find rest and relaxation. 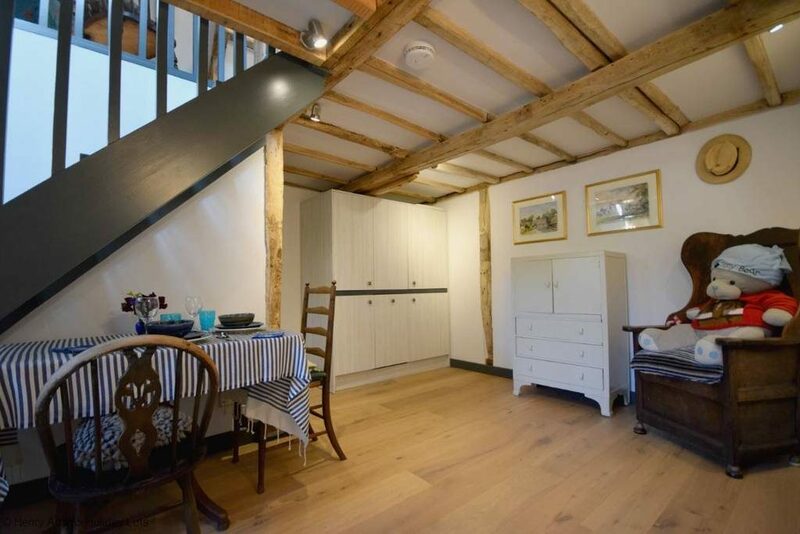 A charming rural escape has been created within a refurbished Granary in West Sussex. 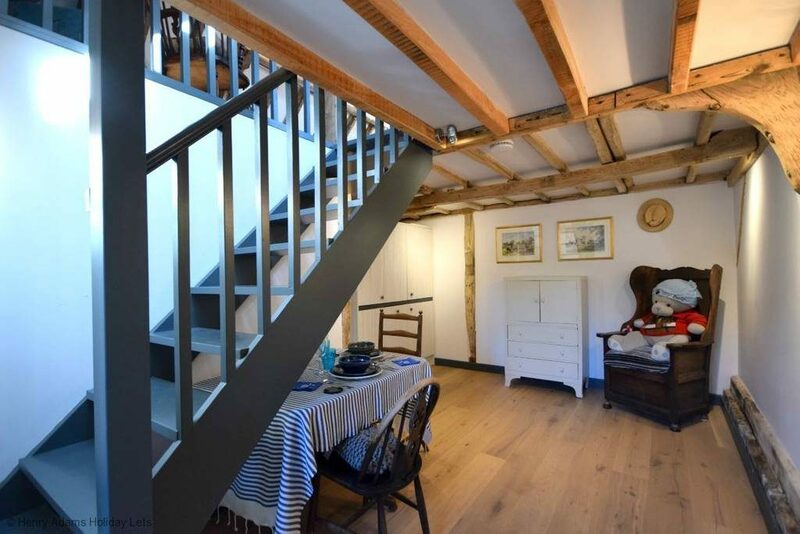 The proprietors were looking to offer guests the flexibility to be self-catered but wanted a kitchen that was compact, discreet within the period property and maximised the small space. After successful installation of a John Strand made-to-measure concealed ‘hideaway’ kitchen we spoke to our clients about the renovation. My wife and I refurbished a ‘granary’ at our home in West Sussex. 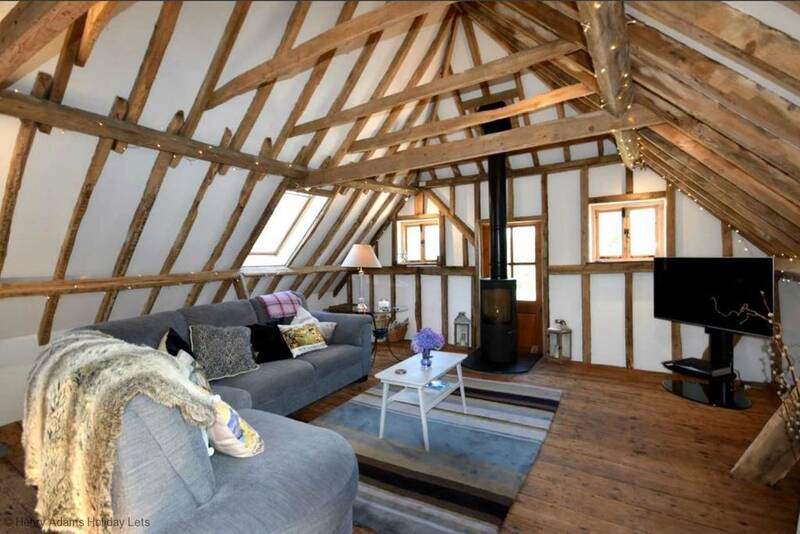 It is a beautiful ‘timbered’ building with a bedroom, bathroom and large living area. The building is over 300 years old. We are now renting this property out for weekend holiday lets. 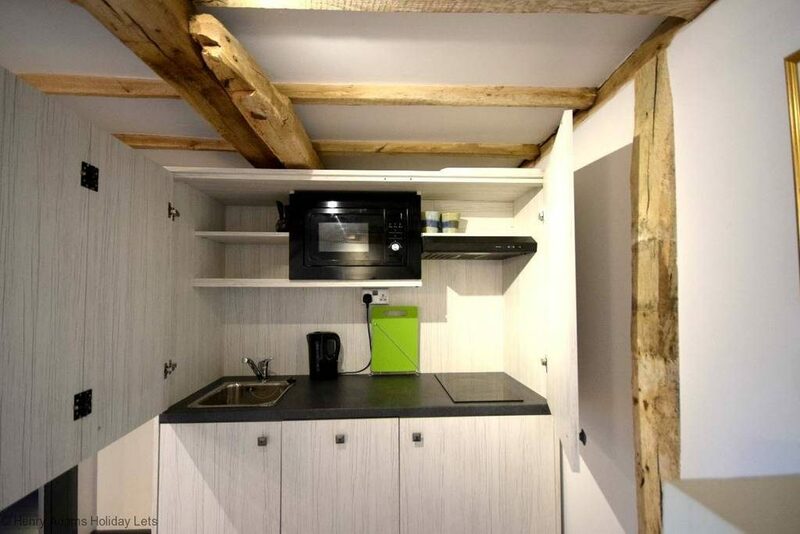 To make it a viable holiday let we needed to put in a kitchen facility – but we had very little space. We also wanted something that would be in keeping with the building – hence we came up with the idea of a ‘mini kitchen’ which could be closed away. Where did you find out about John Strand? We found John Strand via the internet, and also through an interior designer who had dealt with John Strand previously.t. What factors made you choose to work with John Strand? We looked at a solution from Wickes as an alternative. We felt the compactness of the John Strand solution, and the ability to shut it away made it unique. We also liked the choice of finish which allowed us to match it to the surrounds. The pricing was also very competitive with the ‘traditional’ approach. How would you describe the design and selection process? Very efficient. My wife and I visited the office in Harrow where we were able to agree on the design. A number of sample finishes were sent to us a few days after at which point we were able to confirm. How was the delivery and installation process? A date was agreed at the time of order, and John Strand delivered on that date. We asked a local builder & electrician to fit the unit which took 1 day. The kitchen has been used by a number of guests and has been very well received so for! Finally, would you recommend us? We would most definitely recommend John Strand.